Ryan is a graduate of the University of Oklahoma where he earned a Bachelors of Science in Physical Therapy in 1998, graduating with Special Distinction. He then attended Oklahoma City University where he further studied the economics of healthcare and earned a Master of Business Administration with Honors in 2000. In January of 2016, he graduated from A.T. Still University with a doctorate degree in physical therapy. Ryan is recognized by the American Physical Therapy Association as a Board Certified Orthopedic Specialist (OCS), an honor earned by less than 3% of all physical therapist. Ryan has also earned the title of Credentialed Clinical Instructor, indicating his expertise in working with studying physical therapists during their clinical internships. He is currently certified to practice physical therapy by the Oklahoma Board of Medical Licensure and is and he enjoys active membership in both the Private Practice Section and Orthopedic Specialty Section. He is also a Certified Medical Provider for the Titleist Performance Institute. 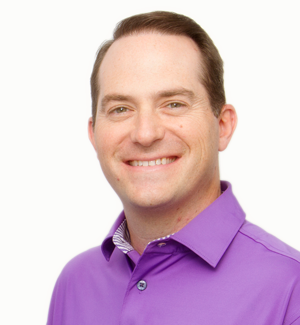 Ryan is former CEO and Partner at the Sports Center Physical Therapy clinic in Austin, Texas. From recreational to professional athletes at all levels, he enjoyed helping patients with a wide variety of orthopedic injuries including back and neck pain, knee injuries, shoulder injuries, post-op care, and osteoarthritis return to the activities they love. Prior to his time in Austin, Ryan was Senior Physical Therapist and Clinical Specialist at Kaiser Rehabilitation Center at Hillcrest Healthcare System in Tulsa, Oklahoma where he treated a wide variety of patients with spinal cord injuries, stroke, brain injuries, and joint replacements. Ryan has extensive experience in the treatment and management of degenerative disc disease (DDD), degenerative joint disease (DJD), and chronic low back and neck pain. Utilizing specialized tools, methods, and manual techniques, Ryan employs evidenced-based medicine and research to design therapeutic programs that lead to a reduction or elimination of pain and a return to prior functional levels for his patients. Ryan is blessed to be married to his best friend, Amy, and to get to laugh each day with his three children. In his free time, he enjoys hitting the links with friends, studying the golf swing, reading, travel, and exercise.